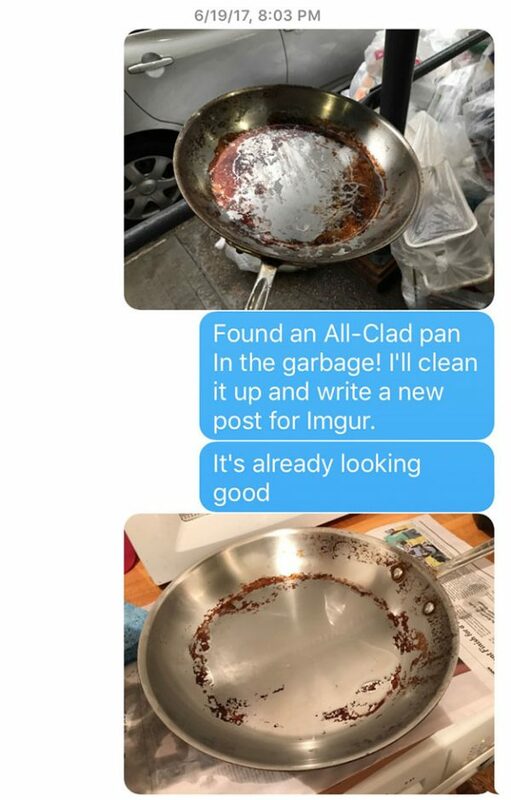 This is the story of a man, a burnt pan, and the challenges of raising children. 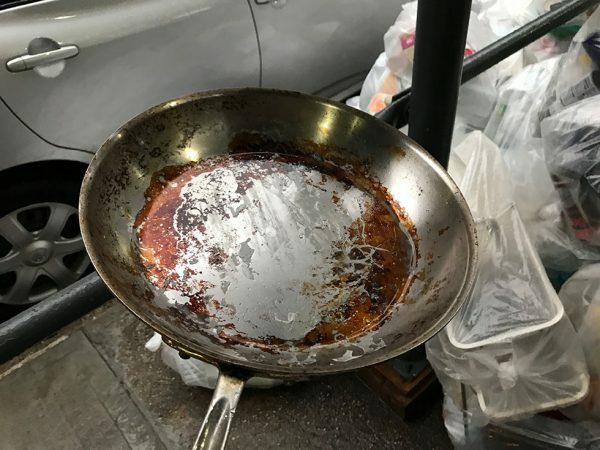 What would you do if you discovered a stainless steel All-Clad pan discarded among the rubbish while walking along a New York City sidewalk? Would you keep walking? Would you pause and consider casually scooping it up but decide to turn away before someone sees you looking longingly at a trash pile? Or, would you boldly rummage through the mound of food-soaked to-go containers and spent coffee grounds to claim your prize? This was the existential crisis facing New York City resident and graphic designer Sandy Campbell. And, as you will learn, Sandy is a bold man of action. 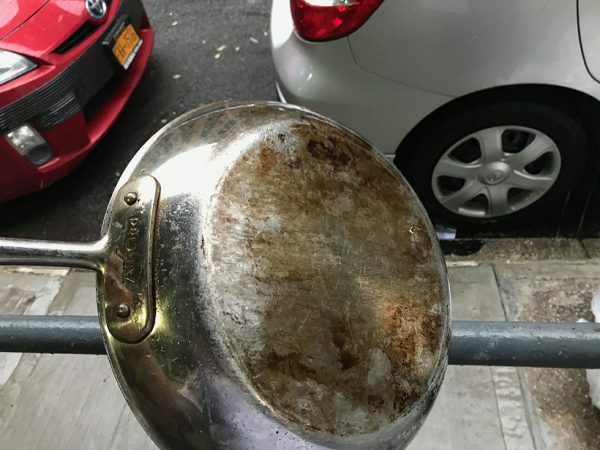 This is the burnt pan that Sandy found discarded in the trash on the streets of New York. It’s a hot mess of burned-on food and oil and what looks to be an attempt at a baking soda scrub. Someone obviously just gave up on it. 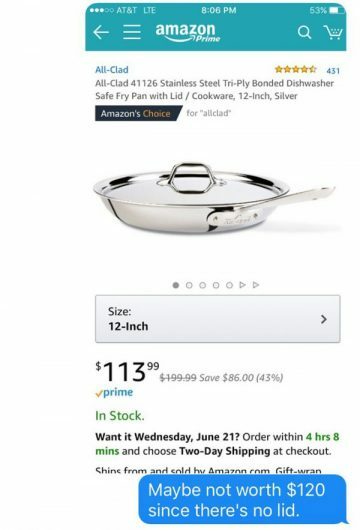 A 12-inch stainless steel All-Clad frying pan isn’t something that you lose hope over. You might as well toss $100 on the sidewalk. 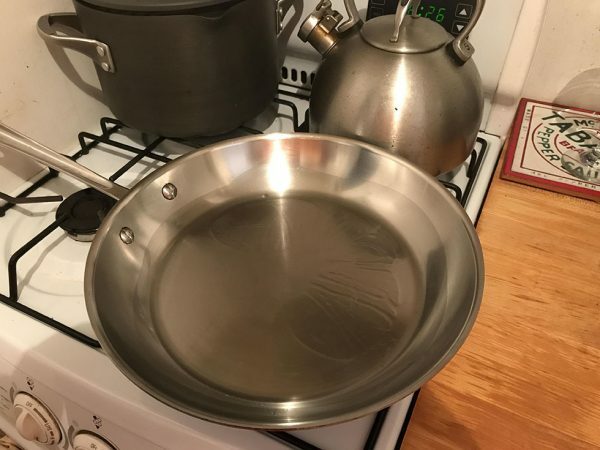 Sandy looked it up on his phone, and, sure enough, this pan was worth its weight in stainless steel. 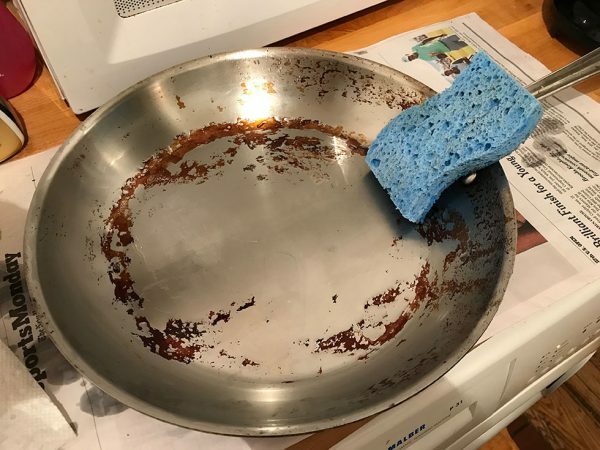 Here is Sandy’s first pass at cleaning the burnt pan with Bar Keepers Friend when he got home. Pretty nifty, right? That’s a great start! Sandy was excited, too, so he decided to share the news about his new treasure with his daughter. 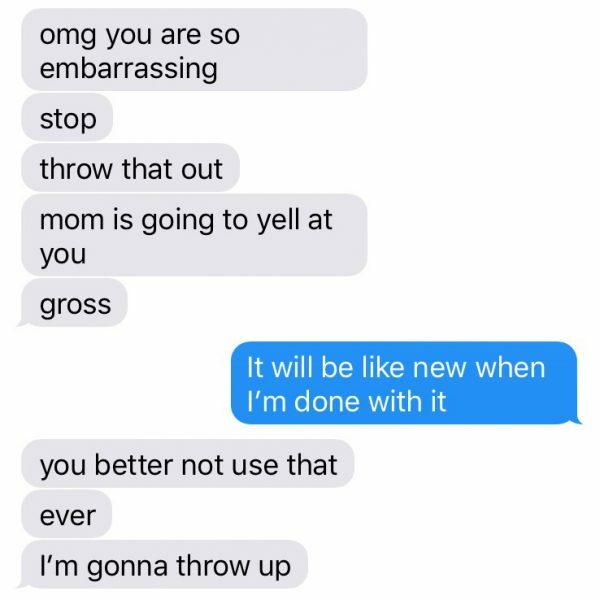 Surprisingly, the teen did not share his enthusiasm about the fact that he pulled a pan from a garbage pile. She seemed equally unimpressed about his progress using Bar Keepers Friend to clean the pan. Where’s the appreciation for urban environmentalism? Undaunted, our hero powered through. 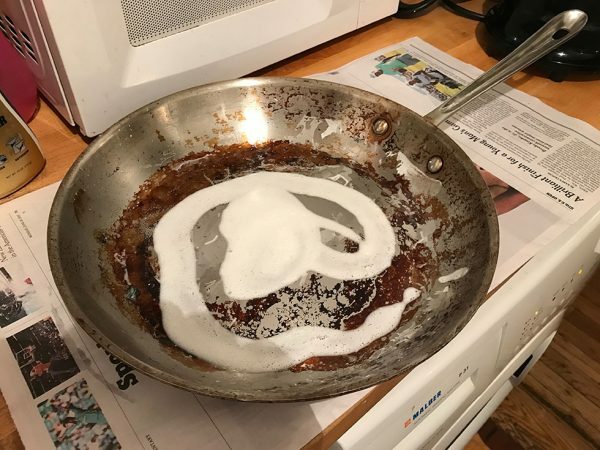 Sandy celebrated his new All-Clad find by frying up some eggs. And they were delicious. Adulting for the win! His daughter, however, held tightly to her skepticism. Kids. Way to stay positive, Sandy! 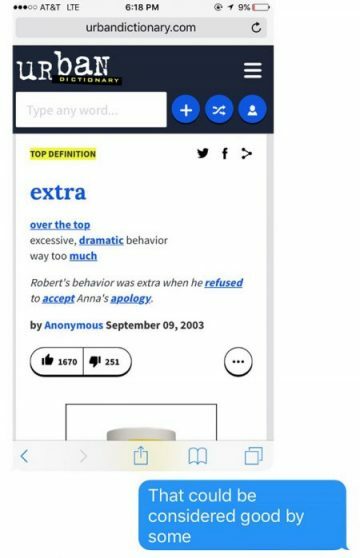 We here at Bar Keepers Friend think that you’re extra fabulous. 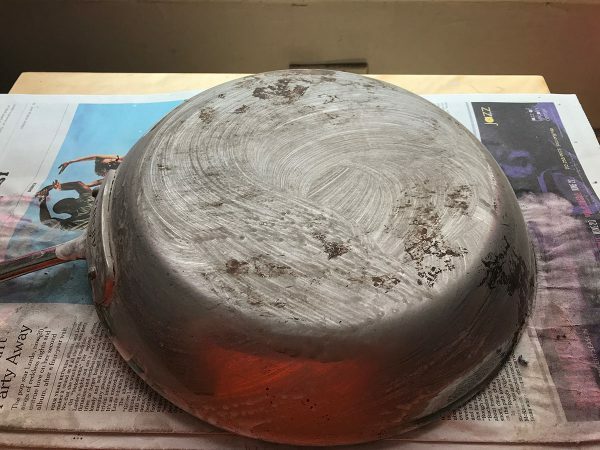 If you’d like to read Sandy’s story in his own words, visit his All-Clad Restoration post on imgur. People are pretty excited about it. Well, not teenage people, but many other people. 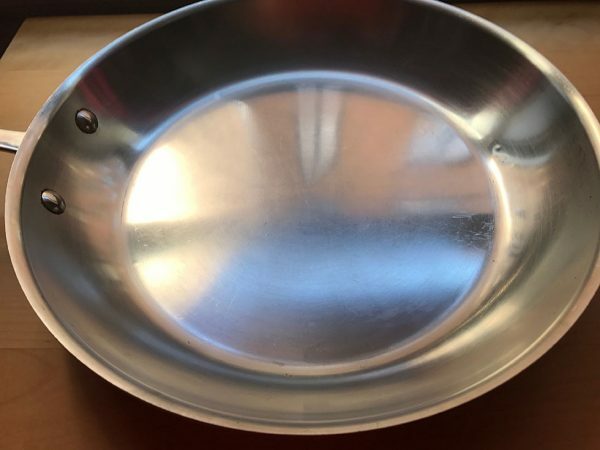 Visit our How to Clean Burnt a Pan page to download our guide on how to use Bar Keepers Friend for your toughest kitchen-cleaning tasks. 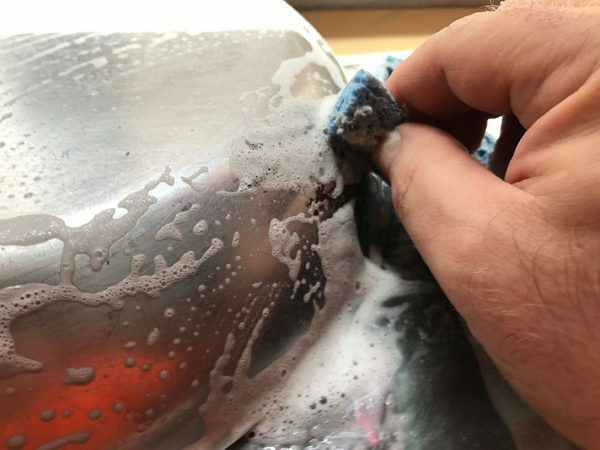 Download our easy-to-follow How to Clean a Dirty Pan guide.